Balanced Minds was started in 2012 by three Clinical Psychologists: Dr Charlie Heriot-Maitland, Dr Korina Ioannou, and Dr Chris Irons (see profiles below). They were motivated, by their shared interests in the science and therapeutic application of compassion, and by their experiences of delivering CFT in the NHS and privately, to organise a London ‘hub’ for compassion-focused approaches to promoting wellbeing. The London practice opened in 2012 and the Edinburgh practice opened in 2017. Balanced Minds offers a range of services and resources for clinicians, the general public, as well as for people experiencing psychological distress. Chris Irons is a Clinical Psychologist working for the NHS in London, UK. He gained his Clinical Psychology doctorate at the University of Sheffield (UK). In his clinical work, he uses Compassion Focused Therapy (CFT; Gilbert &amp;amp;amp;amp; Irons, 2005) in working with people suffering form a variety of mental health problems, including depression, PTSD, OCD, social anxiety, bipolar affective disorder, eating disorders and schizophrenia. He also has an interest in working with relationship difficulties and with issues of shame and self-criticism. Alongside Professor Paul Gilbert and other colleagues, Chris has been interested in the theoretical and clinical developments and adaptations of CFT as a science based psychotherapeutic approach. Chris is a board member of the Compassionate Mind Foundation, a charitable organisation aiming to: “Promote wellbeing through the scientific understanding and application of compassion”. He is an accredited trainer and supervisor of Compassion Focused Therapy, and regularly presents to academic, professional and lay audiences on CFT and more broadly, the science of compassion. Chris gained his research Ph.D from the University of Derby (UK) under the supervision of Professor Paul Gilbert. His Ph.D explored the relationship between attachment and social rank mechanisms in anxiety and depression symptomology. Amongst other things, he is currently researching the role of compassion and rumination in depression; the role of compassion and shame in psychosis; and the role of compassion in relationship quality. Korina completed her Doctorate in Clinical Psychology in 2008 at Manchester University, UK. She has many years of experience working in the NHS, with individuals with severe and enduring mental illness, including psychosis, severe depression and anxiety, bipolar affective disorder, personality disorders, and eating disorders. Korina has specialist training in Cognitive Analytic Therapy and Compassion Focused Therapy. In her private practice she implements these approaches in a flexible and cooperative manner, integrating elements from cognitive behavioural therapy, mindfulness and psychodynamic principles. Her specialist interests include relationship difficulties, trauma, anxiety, depression, low self-esteem and eating disorders. Korina offers assessments and therapy to individuals and couples, and works in time-limited and long term contracts. Korina speaks English and Greek. Dr Heriot-Maitland completed his clinical psychology training at the University of Oxford, and has provided psychological therapies in a variety of NHS settings (2006-2014). He now runs a private therapy practice for Balanced Minds in London and Edinburgh, where he provides psychological assessments, formulations, and interventions that integrate different therapeutic approaches, in particular compassion-focused therapy (CFT) and cognitive-behavioural therapy (CBT), but also drawing on other mindfulness-based and emotion-focused therapies. The shorter-term interventions he offers (10-20 sessions) are more structured and content-driven, and the longer-term interventions are more exploratory and process-driven. He works with people with a range of mental health difficulties, usually on a one-to-one basis, but is happy to involve others (e.g. partners and families), and will always attend to the broader social context of mental health difficulties (relationships, culture etc). Dr Heriot-Maitland's academic and research interests mainly lie in the application of CFT in psychosis, and he has been awarded a Fellowship by the UK Medical Research Council (2014-2019) to forward the scientific knowledge this area at King's College London and University of Glasgow. Alison works in the NHS, private practice and as a Clinical Supervisor in a charity working with young offenders. She works with children, adolescents and adults and can offer adapted therapy for people with autism spectrum diagnoses and learning disabilities. Alison has worked with people who present with depression and anxiety, as well as difficulties including; self-harm, suicidality, psychosis, complex trauma, anger and aggression. She gained her doctorate in Clinical Psychology at University of East London, where there is an emphasis on thinking about the relationship between distress and the world we live in – from our workplace to the political system. Her doctoral research thesis explored shame and social rank. Alison is a keen CFT Therapist and has completed further training in Narrative Therapy. She is interested in telling the stories of our lives in ways that make us stronger. Also trained in Motivational Interviewing, Alison has found this approach compliments CFT where we may feel unsure or ambivalent about change. Alison was drawn to CFT by its practice of ‘preparing the body to help the mind’. She has found this approach to be emotive, creative and flexible, particularly because it does not rely solely on talking. Alison continues to develop her own compassionate practice and hopes to offer a safe, confidential space for those seeking support and change. As a therapist, Alison takes a whole hearted approach to working with people. She appreciates difference and intersectionality in Gender, Geography, Race, Religion, Age, Ability, Appearance, Class, Culture, Ethnicity, Education, Employment, Sexuality, Sexual Orientation, and Spirituality. Dr Shelley Kerr is a Clinical Psychologist working both for the NHS and private practice in London, UK. She gained her doctorate in Clinical Psychology at Griffith University (Brisbane, Australia) in 2008. Her doctorate research focused on the healing potential of gratitude and kindness. Shelley has extensive, specialist experience in working with people struggling with intense unstable emotions, relationship difficulties, trauma, self harm and suicidal behaviours. She is well versed in helping people find a way forward from anxiety, depression and low self esteem. She is a passionate CFT therapist, an accredited DBT therapist and has extensive CBT experience. Over the past 5 years, Shelley has increasingly developed her compassion focused practice. In this work, she has seen the power of compassion in releasing people from the suffering that comes with cycles of shame and self criticism. As a result of this experience together with the growing body of evidence for CFT, Shelley takes a compassion focused approach to therapy and maintains focus on trying to cultivate mindfulness and compassion her in every day life. She is grateful to be able apply her experience and compassion with people who wish to take the courageous and sometimes painful steps toward becoming the person they want to be. I am a Chartered Counselling Psychologist trained in CBT and experienced in working with a wide range of mental health problems such as depression, social anxiety, PTSD, generalised anxiety, alcohol abuse and adjustment to long term health conditions amongst others. I have been accredited with the British Association for Cognitive &amp;amp; Behavioural Psychotherapies (BABCP) since 2013 and have 9 years post qualification experience, with much of my clinical work taking place within an NHS setting. I also work with a student population at a London based university providing both CFT and CBT therapy to support students with mental health difficulties through their academic careers. I have a keen interest in Compassion Focused Therapy and have been integrating the approach into my clinical work over the last 4 years and find it to be a very rewarding experience. I aim to provide a safe and confidential space for individuals to explore and reflect upon thoughts and feelings, and to facilitate the change process in a way that feels collaborative, respectful and in line with the goals of the individuals that I work with. Rita works as a Consultant Clinical Psychologist in the NHS. She has worked in the NHS for over 23 years across a variety of settings, including hospital, community and GP surgeries. Rita has extensive experience in assessing and treating adults with wide-ranging psychological difficulties of varying complexity, such as generalised anxiety disorder, panic disorder, social anxiety, phobias, OCD, depression, bipolar affective disorder, schizophrenia and trauma. She specialises in working with individuals who experience interpersonal difficulties and enduring and intense emotional dysregulation. Rita has supervised Clinical Psychologists, Counselling Psychologists and Trainee Clinical Psychologists in the NHS for over 20 years. She has been a Liaison Tutor and has been involved in the selection of Clinical Psychology Trainees for the University College London Doctorate course for over 10 years. She has also been an external examiner for the Professional Clinical Psychology Doctorate course at University East London. Rita draws upon evidence-based interventions using a combination of Cognitive Behavioural Therapy, Mindfulness Based Therapy, Dialectical Behavioural Therapy, and Compassion Focused Therapy (CFT). Over the years, Rita has become increasingly more interested in developing and applying CFT in her practise in response to the growing evidence indicating the benefits of cultivating compassion for psychological health and well being. Rita feels it a privilege to assist others in their journey of personal development and growth. She offers a warm, understanding, non-judgemental approach, aimed at helping individuals make sense of their emotional difficulties, move toward their aspirations and improve their quality of life. Rita is bilingual. She speaks English and Italian. Michelle is a clinical psychologist that has worked in the NHS for over 10 years. She gained her clinical psychology doctorate from University College London (UCL). Since then she has worked in a range of clinical settings, working in both mental and physical health services, with children and adults. Part of her clinical experience has been focused on working with individuals struggling with eating disorders and co-morbid difficulties such as depression. Alongside this, Michelle has focused on working within physical health settings. She has worked in Plastic and Reconstructive Surgery, Dermatology and Chronic Wound Care and Lymphoedema services, supporting individual with challenges such as adjustment to diagnosis, appearance concerns, trauma and difficulties engaging with physical health care treatments. More recently, Michelle has worked extensively in weight management services supporting adults with obesity. Specifically she has worked with individuals who have difficulties with emotional / binge eating, body image concerns, depression and anxiety. Michelle has specific interests in shame and stigma associated with weight related difficulties and has used compassion-focused approaches in relation to this with clients she has worked with. She continually works on developing her compassion-focused therapy skills and knowledge, including development of her own compassionate practice. 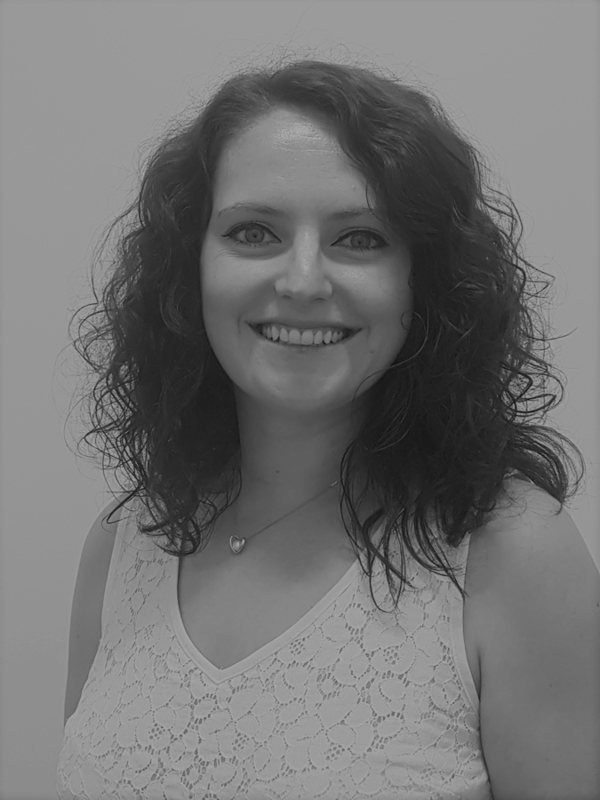 Michelle also has an interest in Acceptance and Commitment therapy approaches and uses this flexibly within her work depending on the needs of the individual. As a therapist, Michelle takes an open, non-judgemental and warm approach. She is deeply committed to developing a clear understanding of the issues most pertinent to the individual she is working with, and supporting them to make changes such that they can live their lives in a way that is meaningful and most consistent with their values and hopes. In addition to this above, Michelle currently also works on a doctorate in clinical psychology training course, teaching and training individuals to practice as clinical psychologists. As part of this, Michelle is passionate about engaging in research, with her research interests laying in obesity, stigma and incorporating compassion focused self-practice into clinical training.